Mathematics, Statistics & Data Science; Basic and Applied Sciences; 7. Education, Language, Culture, Social Equity and Governance; 8. Business, Entrepreneurial Innovation, SMEs & Marketing. The innovation should be in line with the national priorities as envisaged in the Kenya Big Four Agenda and Kenya vision 2030, as well as the sustainable development goals. Innovation is the process by which ideas are transformed into new/improved products/services/processes. It leads to improvement in productivity, in efficiency and in quality of products leading to increased economic growth. The current national, regional and global focus is to expand economic opportunities through increased investment and innovation. As the world economies grow, it is imperative that this growth is achieved in a sustainable manner. Green growth ensures that natural resources are able to deliver their full economic potential (clean air and water as well as a robust biodiversity that can sustain food production and human health) on a sustainable basis. Green growth strategies include industrial restructuring to maximise opportunities in key sectors (such as energy, agriculture, transport, tourism etc) and development of policy frameworks that support green growth for instance policies that create incentives for greater efficiency in utilization of natural resources, that boost investor confidence through environment sensitive governance and policies that lead to opening of new markets by stimulating demand for green goods, services and technologies, among others. This first call therefore seeks proposals of Innovations that support green technologies to ensure utilization of natural resources in an environment sensitive manner while fostering economic development. Provide an opportunity for staff to actualize and patent their innovations. Each proposal will be funded for a period of up to 1-year subject to submission of satisfactory progress reports and financial accounting. Each proposal will be supported with a maximum budget of KES. 700,000/=. The proposals should be endorsed by the chair of the school research committee. Proposals by departmental/faculty teams will be given priority. Where the innovation proposal is from a team, the principal innovator should be clearly stated and all members of the team must endorse the proposal. Any supporting documents should be provided as appendices. Any proposal that is being developed elsewhere should not be submitted for this Call. Only original work should be submitted, plagiarism is highly discouraged. Successful applicants are expected to adhere to their approved budget, work plan and expected project completion date. Positive impact to the society. 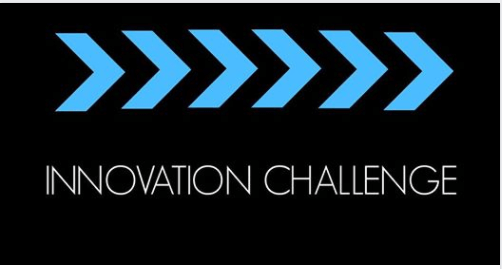 This 1st Call for Staff Innovation Proposals, 2019 is OPEN to all Staff of Machakos University including those with on-going Machakos University funded projects.